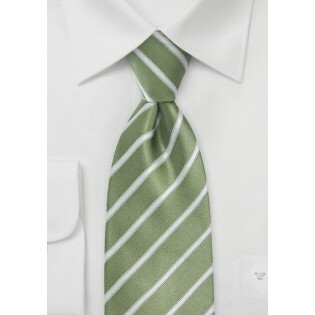 Get a new and innovative look with this tres chic striped necktie in sensational shades of fern green and white. The wide stripes of fern green pop with color and panache. Debut a dynamic and contemporary sense of fashion by pairing this tie with a tailored white dress shirt, a dark navy blue suit and brown dress shoes. 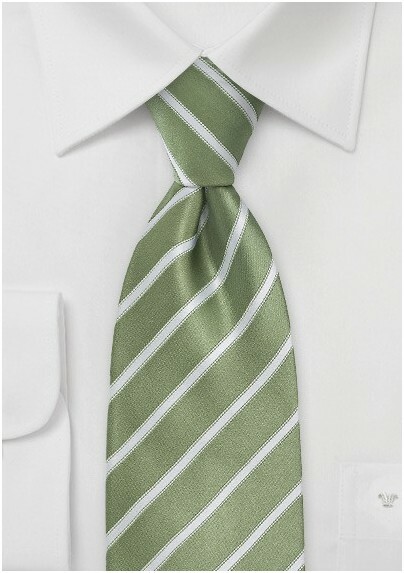 Parsley created this luxury edition necktie for the modern man who appreciates simplicity and style. Crafted from pure silk.